When the Doctor returns to whisk Clara Oswald away for an adventure on Christmas Day, the TARDIS materialises at the North Pole where the crew of an Ice Cap Polar Base are under attack from the sinister alien Kantrofarri. But how will the crew of the base react when the Doctor and Santa Claus arrive to help them? The Time Lord and Santa must join forces with the crew against the Kantrofarri. With the Doctor and Clara facing certain doom, can Santa bring the gift of salvation and still deliver everyone’s presents on time? It’s Christmas Day at the North Pole, the world is in peril from a new alien menace, so who are you going to call? 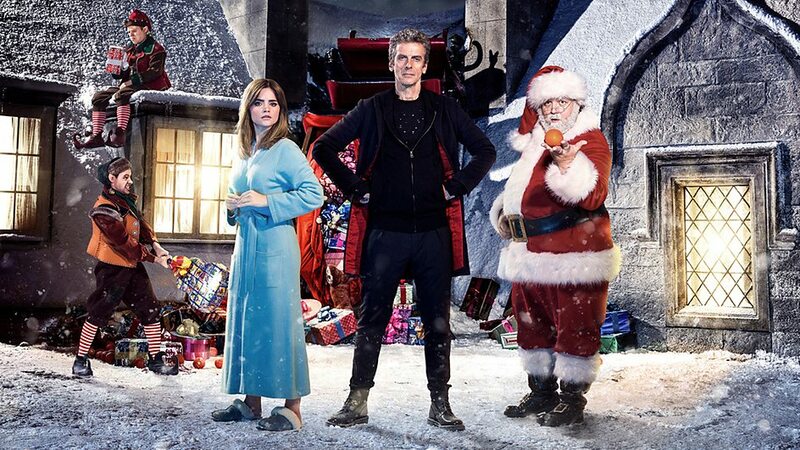 Well, as it happens, the Doctor and Santa Claus of course, as this year’s Doctor Who Christmas special: Last Christmas, sends the TARDIS and Santa’s sleigh to deliver a wealth of Sci-Fi thrills, along with a sack full of toys and the odd tangerine or two, for possibly the quirkiest and darkest Christmas special ever! Last Christmas is the tenth consecutive Doctor Who Christmas special since the series returned in 2005 and it’s also the fifth to be written by show runner Steven Moffat. 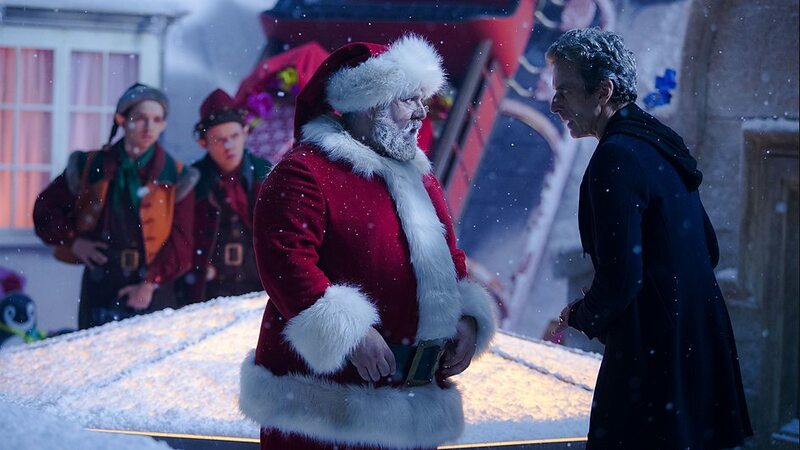 After Santa’s sudden arrival during the final moments of the series eight finale (Death In Heaven) when the Doctor was alone in the TARDIS following Clara’s departure, Last Christmas brings Peter Capaldi’s grouchy Time Lord and Nick Frost’s equally cantankerous Santa Claus together for an adventure that quickly sees the Doctor reunited with Clara again. When Santa’s sleigh crashes into the roof of Clara’s house on Christmas Day, she soon gets another Christmas surprise when the Doctor also arrives in the TARDIS. The Time Lord isn’t exactly happy to see Santa, but they soon manage to set aside their differences when a deadly new threat rises. After travelling in the TARDIS to the North Pole the Doctor and Clara become trapped on a Polar Base where Professor Albert (David Troughton) and his crew are battling for survival in the sub-zero temperatures against the terrifying Kantrofarri. These crab-like aliens have attached themselves to the faces of some of their fellow crewmembers, who soon became violent towards the others, and they are now isolated the infirmary. The Doctor and Clara suddenly arrive at the base, inadvertently causing Shona to become distracted, whereby the sleepers begin to wake up as the telepathic Kantrofarri wrapped around their faces begin homing in on their thoughts. Peter Capaldi continues to impress as the 12th Doctor, he’s as grumpy as Scrooge from the outset, and his icy rivalry with Santa results in some really funny scenes between them. However, the Doctor eventually seems to mellow somewhat over the course of this story. 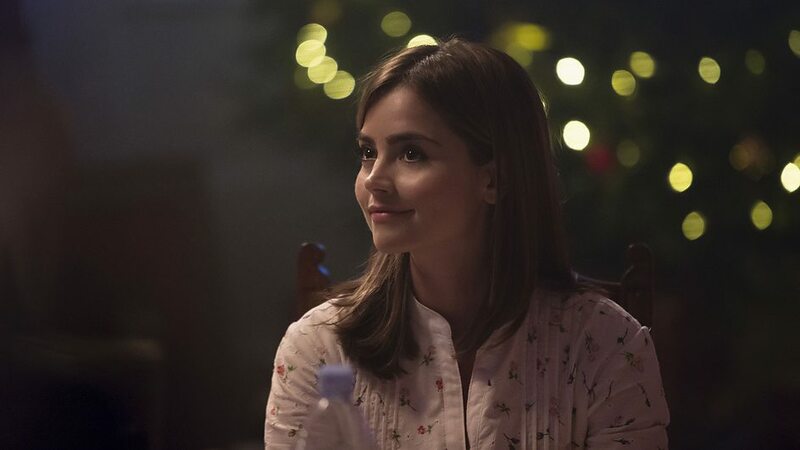 Jenna Coleman is on fine form as Clara Oswald, her chemistry with Capaldi’s Doctor is superb, and there are some particularly moving scenes as this episode explores how Clara is still coping with the loss of her boyfriend, Danny Pink, which instigated her sad departure from the TARDIS in the Series Eight finale. Events in this Christmas Special force the Doctor and Clara to finally admit how they lied to each other, with Clara telling the Doctor that Danny didn’t really use Missy’s bracelet to return to the living world, and the Time Lord confessing that he never found Gallifrey either. 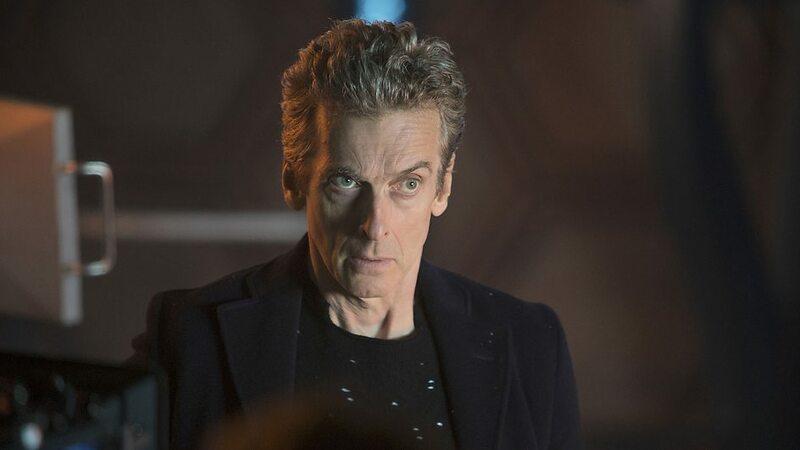 Last Christmas provides a excellent coda for Death In Heaven, its great to see the Doctor and Clara together again, and Clara proves to be as resourceful as ever when the action shifts to the Polar Base and events lead to her and the Doctor being placed in mortal danger as they fight against the Kantrofarri. Nick Frost, best known for staring alongside Simon Pegg in the films Shawn of the Dead (2004), Hot Fuzz (2007), and The World’s End (2013), and the Channel 4 sitcom Spaced (1999-2001), makes a wonderful Santa Claus in Last Christmas. From the opening scenes, where he is curtly greeted by the Doctor, we find that Frost’s Santa can be just as abrupt and unpredictable as the grumpy Time Lord. The clash of egos between the Doctor and Santa is a joy to watch, this episode effortlessly blends the reality and fiction that surrounds both characters, the frosty banter between them is very funny, and Santa even manage to upstage the Doctor with his dramatic entrance at the Polar Base! As well as Rudolph the Red Nosed Reindeer, Santa’s also brought along some little helpers, two quarrelsome Elves, the Wolf (Misfits actor Nathan McMullen) and Ian (played by Dan Starkey), whose face is probably less well known as he usually plays the Doctor’s ally, the Sontaran Strax. After Santa’s timely arrival at the base during the attack in the infirmary, the Doctor and Clara meet the rest of the crew. It seem the Kantrofarri were discovered in a cave beneath the Polar Base and were awakened when they were thought about, attacking the crew, and placing them in a dream-like state to feed on their brains. When Clara becomes one of the scuttling creatures’ next victims, the Doctor allows himself to succumb to one of the Kantrofarri so he can join her in her dream world and save her. These scenes back in Clara’s house during her dream are haunting and eerie. Danny Pink (Samuel Anderson) magically returns from the dead, mysterious warnings begin appearing on blackboards and the walls, eventually the Doctor arrives in the dream to help Clara reject the fantasy world the Kantrofarri is creating to sedate her while it feasts on her brain, leading to a heartrending moment between Danny and Clara as they ultimately part for the final time. 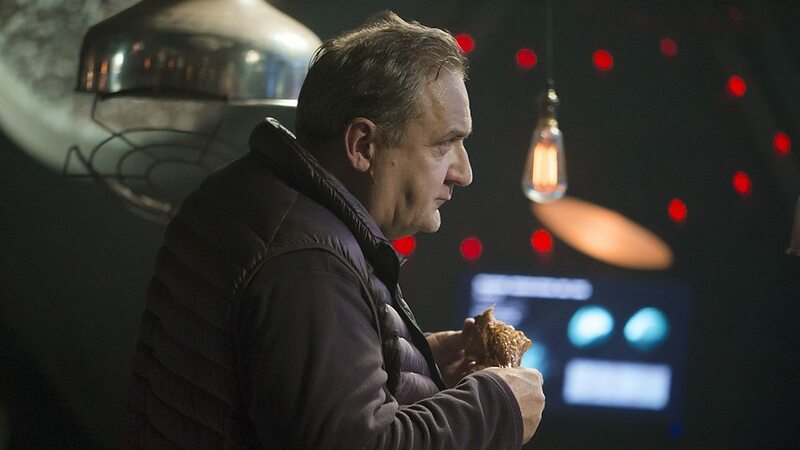 Michael Troughton, the son of Patrick Troughton who played the 2nd Doctor, also makes his Doctor Who debut in Last Christmas as Professor Albert. Its great to see Michael Troughton staring alongside Peter Capaldi’s 12th incarnation of the Doctor, and Michael Troughton’s excellent performance really makes this Christmas episode feel even more special. The Professor’s fellow crewmembers: Shona, played by Fay Marsay (The White Queen), Bellows (Maureen Beattie), and Ashley (former Corrie star Natalie Gumede), all play key roles as they confront the horror of the Kantrofarri while the fate of the world hangs in the balance. 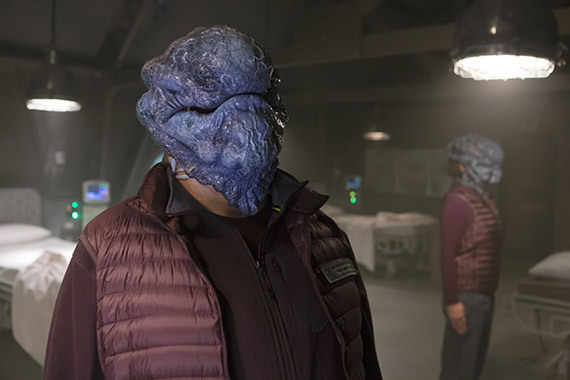 The Kantrofarri are probably one of the scariest monsters to ever appear in a Doctor Who Christmas Special. These Dream Crabs latch onto their preys faces and quickly place the helpless victim into a dream-like state, inducing a fantasy world in their minds while the creature gradually devours their brains. Dangerously unpredictable, fast, and always lurking somewhere in the shadows ready to strike, they are extremely menacing. The Kantrofarri’s bodies also resemble a certain face hugging cinematic alien Xenomorph. When the Kantrofarrie are attached, they can also animate their hosts bodies, and their featureless visage can slowly peel away like a dribbling maw to reveal the sleeper within – which is especially gruesome. Having rescued Clara from the dream, the Doctor gradually begins to realise that he, along with Clara and the crew, are still dreaming, and have been since the Kantrofarri attacked everyone at the base and that Santa was also part of their dream fantasy. As the revelation of all the dreams within dreams begins to fall into place, events culminate with a magical sleigh ride with Santa that sees everyone returned to their own time and place as they wake from their Kantrofarri induced dream. Naturally there is one last Christmas Cracker of a plot twist before the Kantrofarri are finally destroyed, which includes a heart warming scene between the Doctor and the older Clara sixty two years in the future, before a little help from Santa finally allows the Doctor to wake up for real and return just at the right time to free Clara from the Kantrofarri. I really liked the scene where the Doctor asks Clara to resume her adventures with him in time and space, it’s a beautiful moment, and the ambiguity of Santa’s involvement in bringing about this event is handled perfectly. Returning director Paul Elmhurst (Kill The Moon & Mummy on the Orient Express) ensures Last Christmas has all the festive trimmings to make it a really fun Christmas Special, and when the action shifts to the Polar Base it also becomes a much darker and scarier episode. With its fun opening moments, quirky rendition of Slade’s 1973 hit Merry Xmas Everybody, this episode strikes just the right balance between its glittering Christmas trappings and the creepy base under siege setting. Peter Capaldi and Jenna Coleman are as excellent as ever, Nick Frost makes a jolly Santa, and the guest cast all have good roles. The way that Steven Moffat has woven Santa Claus into the world of Doctor Who is also cleverly done in a way that is surprisingly integral to the plot. Last Christmas is a bizarre idea that really shouldn’t work, yet somehow this uncanny mix of Alien, Miracle on 34th Street, The Thing From Another World, and Inception provides a tense, claustrophobic, and fun-filled festive delight that is one of Doctor Who’s and Steven Moffat’s best Christmas Specials to date. 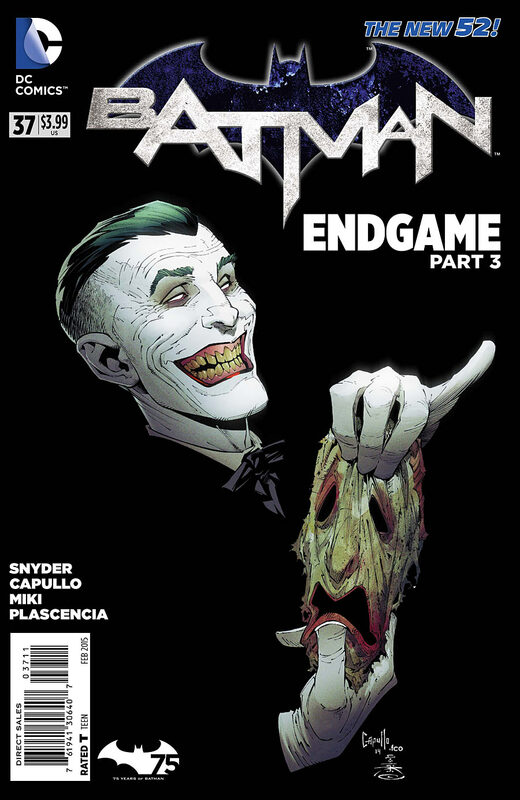 The third part of Scott Snyder’s and Greg Capullo’s thrilling new epic, Endgame, continues in Batman #37 as the full horror of the Joker’s return begins to impact on Batman’s life and the city he is sworn to protect. With its ambiguous resolution to last issues cliff-hanger, Snyder and Capullo masterfully syncs our imaginations with Bruce’s paralysing descent into terror – with a scene that mirrors the chilling first page of Batman #15 – as he recovers from the anesthetic gas in the Batcave. The opening moments, where Bruce assesses the outbreak in Gotham with Alfred and Julia, quickly reveals just how deadly the new virus the Joker has unleashed really is. It’s resistant to every antidote Bruce has ever devised, and it seems the Joker has engineered his masterpiece to deliver the last laugh in possibly the most horrible way imaginable for the citizens of Gotham. The dark shift in tone with Batman #37 is a marked contrast from the previous two issues where Batman was fighting the Justice League. 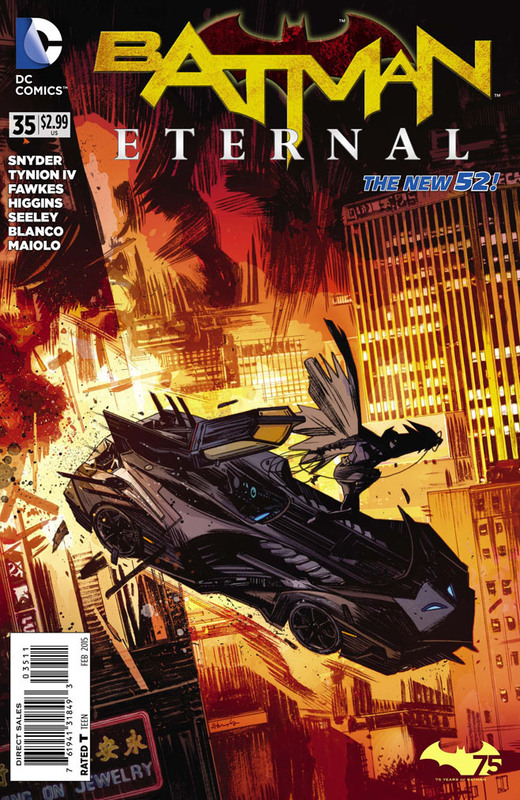 Scott Snyder ramps up the tension and horror as he throws Batman headlong into a desperate race against time to return to city and locate Patient Zero in the Gotham Presbyterian Hospital. The phone conversation with Gordon is just one of many standout character driven moments in this issue. Gotham is going to hell, the military are on the verge of putting city into quarantine, and even Batman is taken aback when he witnesses Jim Gordon’s observations about the nastier aspects of the virus for himself. Indeed, the aptly chosen ring tone on Gordon’s mobile phone is the only light moment in this entire issue. Enjoy that wry smile you’ll have to yourself in that scene, because I assure you, from here on in Snyder is going to keep on pushing your buttons and ramping up the terror right up until the very last page! Greg Capullo brings a chilling clarity to Snyder’s horrific vision of a Gotham plunged into chaos by the Joker’s virus. From the brooding atmosphere of the cave and Gordon’s boarded up apartment, to the hordes of infected massing the streets and stalking the halls of the Gotham Presbyterian Hospital, Capullo’s art galvanises everything Snyder has already cleverly seeded in our imagination about Gotham’s most haunted location. Danny Miki’s inks enhances the ominous atmosphere that pervades this issue even further, while FCO Plascencia’s outstanding colors ensure that Batman’s nightmarish search of the hospital and Gordon’s research into the past – with those frightening moments of realization half glimpsed in the shadows – will chill you to the very marrow of your bones. Events culminate with the shocking discovery of Patient Zero’s identity and a twisted re-enactment of a pivotal moment from Batman’s past. 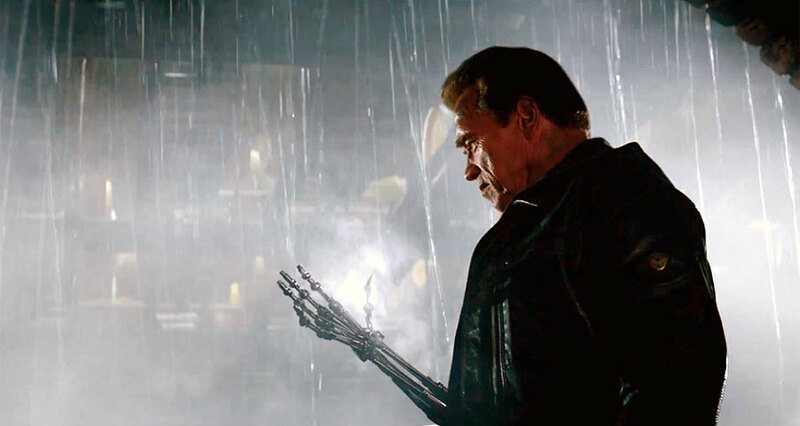 These closing scenes will leave you pouring over these finale pages again and again, as the all encompassing horror of this issues game changing cliff-hanger finally hits home. If anything, this issue is all the more remarkable for how little we actually see of the Joker to begin with. His presence seems to hang over every page, with Snyder keeping us guessing every step of the way, so that when the Joker does actually appear the jolt of surprise heralds a deliciously macabre twist that few could have expected. The Joker is scarier than ever in Batman #37, and there are some genuinely unnerving moments that linger in the memory long after you’ve finished the issue. The First Laugh turns out to be a very appropriate title for this issues backup story from James Tynion IV, featuring terrific art by Jon Mccrea, with colors by Michelle Madsen, this story follows the inmates who escaped from Arkham and were given the task of telling Doctor Zaheer their stories by the Joker. With Gotham in turmoil, Doctor Zaheer’s desperate mobile phone message for help is cut short when she is discovered by the inmate, Morton, and has to listen as he remembers the tale his teacher once told him about the first laugh in Gotham City. This nerve jangling story by Tynion is really creepy, the art captures the horrific tone perfectly, and the way everything blends seamlessly into Endgame’s storyline is really ingenious. Check out the new Doctor Who Last Christmas Official TV Trailer!